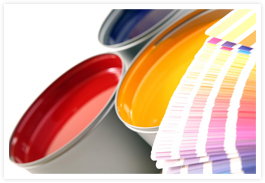 To get your printed message out to your customers and prospects, we offer Nationally Award Winning printing services. Whether it be small variable data digital runs or large, high-end sheet fed projects, we have all of the equipment, under one roof, to give you the highest quality results to ensure you are presented in the highest quality fashion. We continually strive for improvement and to bring the latest and best opportunities to our customers. And while there are many companies that utilize the same or similar equipment to ours, it’s really our people that make the difference (but having great tools available to them never hurts). Over the past several years, the Green movement has grown and we’ve all seen the benefits of minimizing our impact on the environment so future generations can enjoy that same resources that we are privileged to enjoy today. We’ve taken our role in this seriously and have taken many strides to ensure that our environmental footprint is as small as possible. One of the ways we can help you in that effort is through working with you to utilize the most relevant media possible to deliver your message to your customers. When using print as one of those media channels, we offer you the ability to use FSC & SFI certified papers that are manufactured using approved sustainable and responsible forestry methods. We also utilize recycled content to ensure that you are minimizing the impact your message has on the environment.